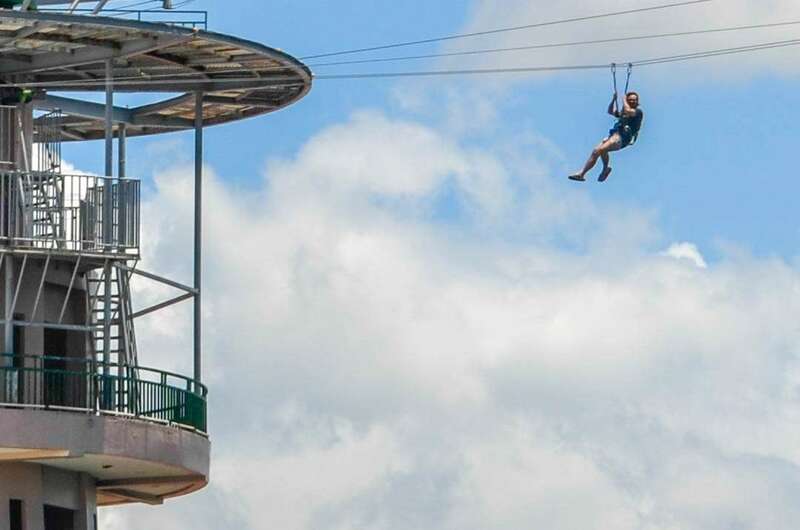 Imagine a zipline activity with the picturesque Mt. 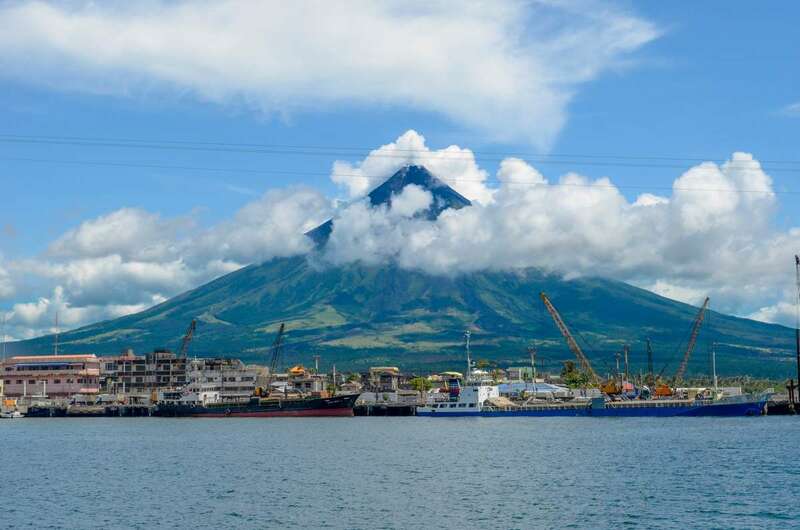 Mayon as backdrop. 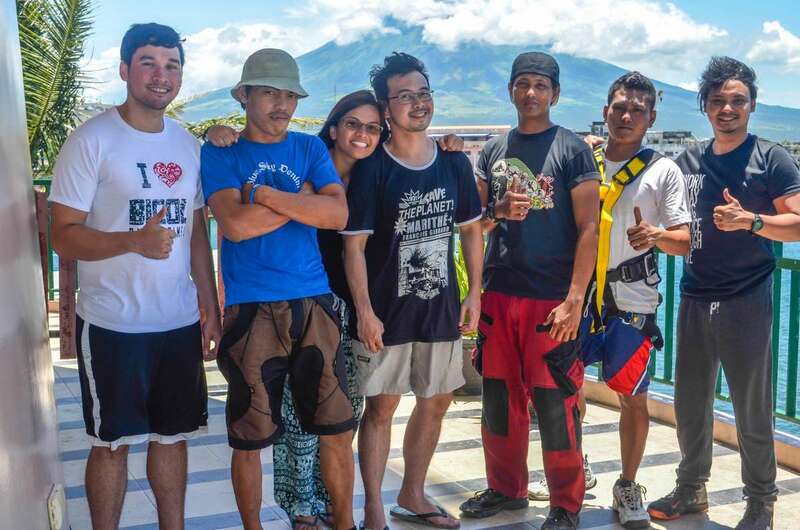 It also has a scenic view of the Albay Gulf. 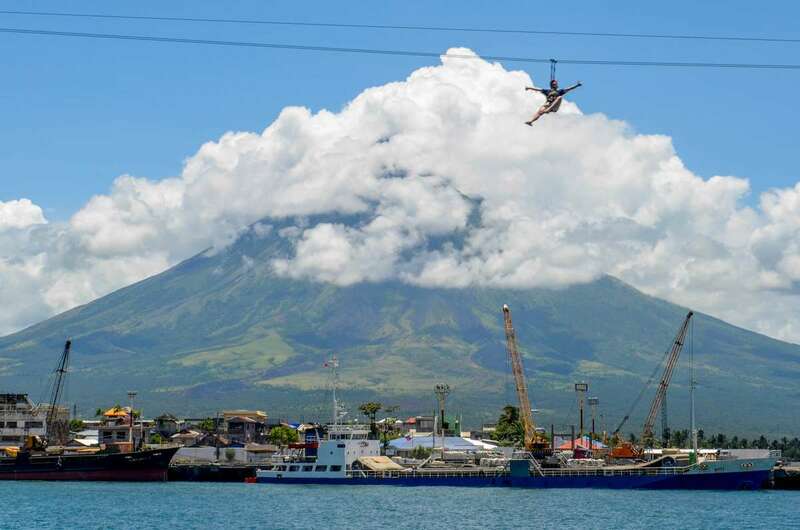 Not only that, this zipline is right on top of the Legazpi port basin. 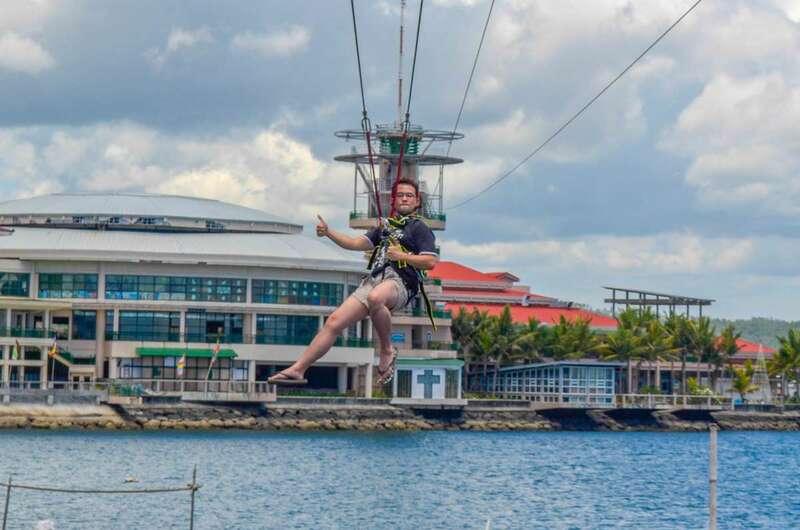 That’s what you can experience with the Embarcadero De Legazpi Zipline that costs only Php150 per person. 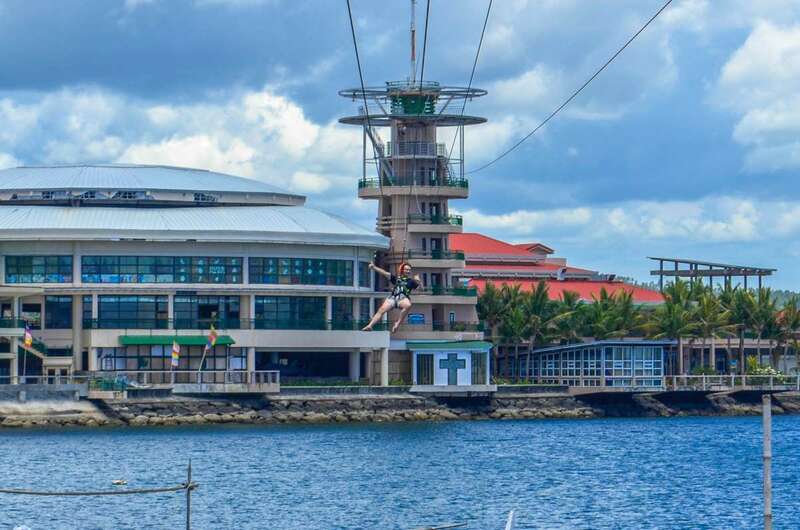 Once you reach the top of the 30-meter tall lighthouse of Embarcadero De Legazpi, take a moment to admire the view and imagine flying over it. 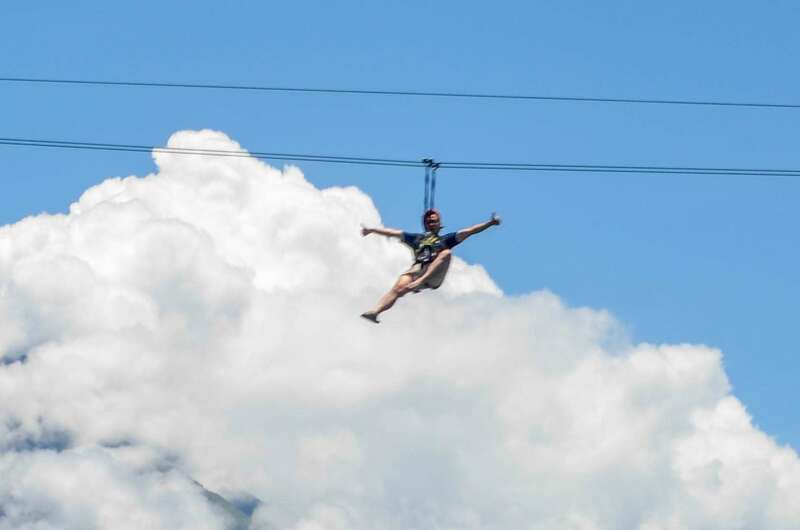 And then, make it happen! 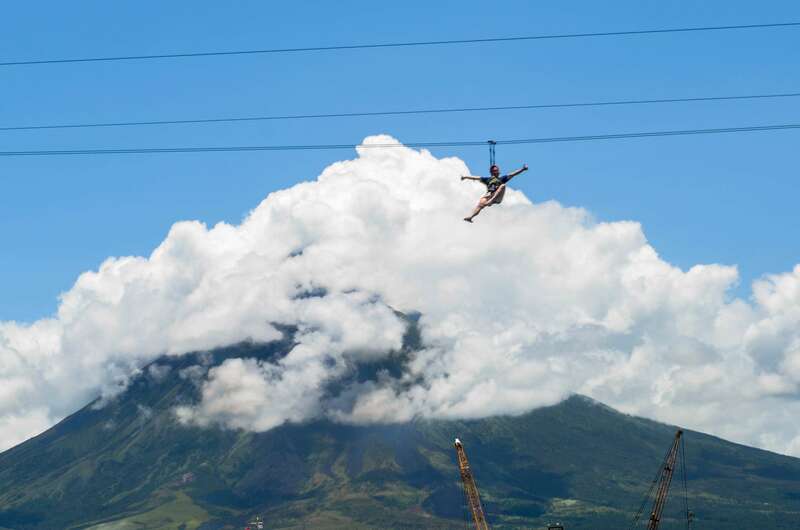 The 350-meter long zipline lasts for about a minute, enough time for you to look at the volcano on one side, and the port area on the other. 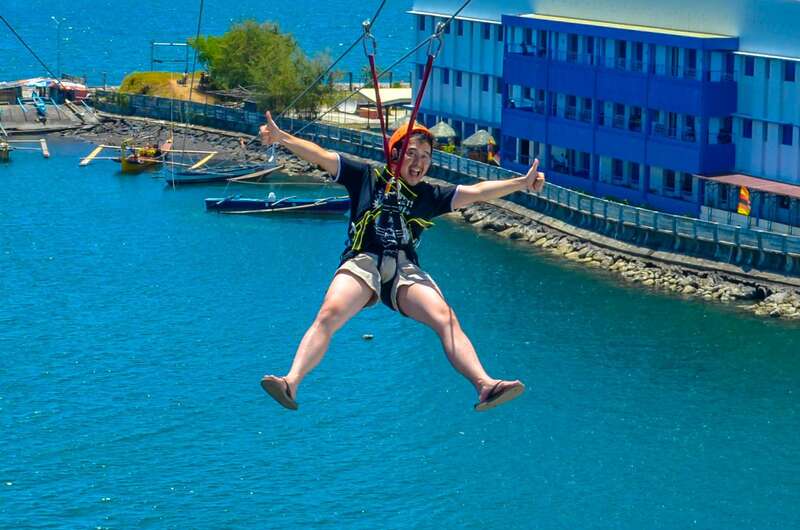 The colors below of blues and greens are amazing!